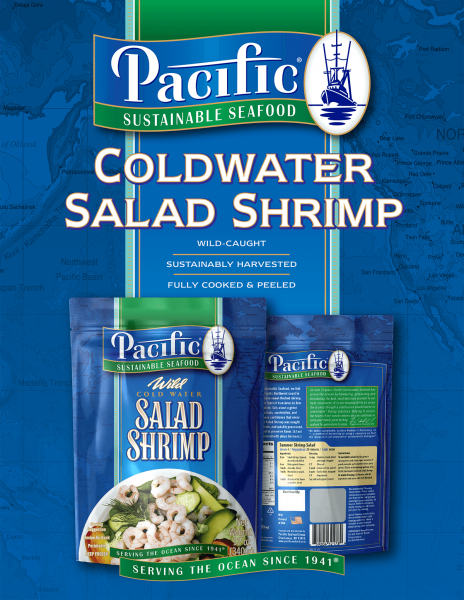 Harvested from waters off the Oregon Coast, Pacific Seafood’s Coldwater shrimp are one of the world’s most convenient seafood. Highly regarded for their affordability, versatility, and above all clean, sweet flavor, these shrimp are MSC certified and sustainably harvested from April through October each year. Of the many shrimp species found off the Oregon Coast, Oregon pink shrimp are the only one found in quantities large enough to be commercially fished. Like other pink shrimp, they are a small shrimp and are often marketed as “cocktail shrimp” or as “salad shrimp” due to their petite size. 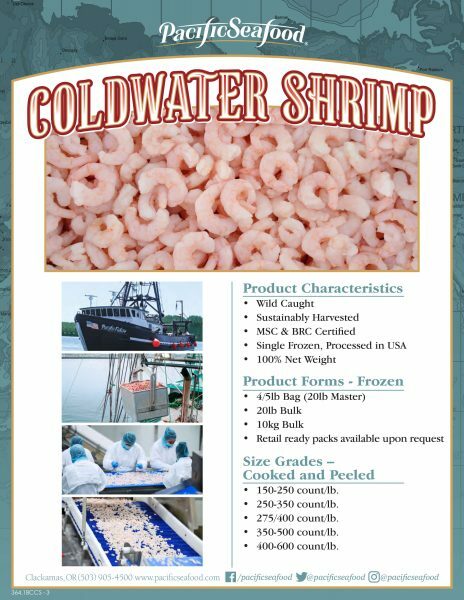 Our Coldwater shrimp are wild-caught, have a delicate texture, and classic shrimp flavor. 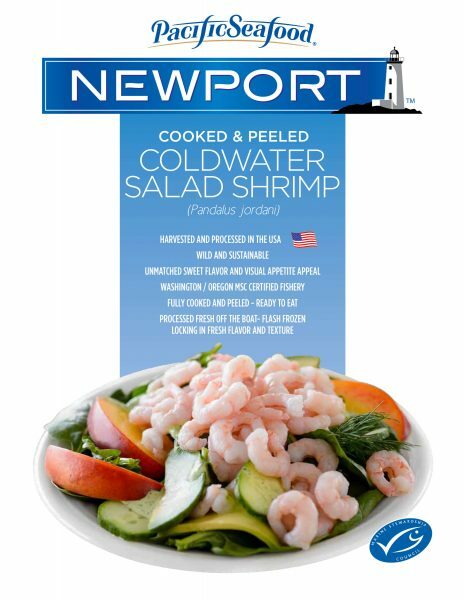 Perfect for shrimp cocktails, salads, casseroles, quiches, and omelets, we are sure you will love our fresh, locally harvested Coldwater shrimp.